Have you seen that Sanibel is featured in Coastal Living for their December 2013/January 2014 issue??? Did you notice those ALBINO shells in that orange bowl? Those are our shells on our front porch! Holy Cowrie! We made it into Coastal Living magazine! Coastal Living photographer David Hillegas came to our house to photograph our collection of local shells and my WORM SHELL mirror he heard about on the coconut shellegraph. He ended up spending THREE hours photographing our house, shells and our “shellaboratory” so needless to say Super Sheller Clark and I had an amazing day hanging out with him and watching him work his magic. Thank you, David, for such a memorable day! Honestly, I had heard about the article about Sanibel in the magazine but it came out when we were vacationing on Cat Island, Bahamas. When we returned it was Thanksgiving with amazing shell frenzy at Blind Pass Captiva, then I was focused on decorating for the Golf Cart Parade during the Captiva Holiday Village festivities. But low and behold, last night at the fantabulous Captiva Lighted Boat Parade, I met one of the judges for the parade…. Susan Sutton of Coastal Living. Wow! So awesome to have Coastal Living involved in our boat parade judging on Captiva! She had a whole stack of Coastal Living magazines at the after party on Andy Rosse Lane so I flipped through it to see our shells made it into the issue AND saw this One Week Getaway to Captiva Island GIVEAWAY by Captiva Holiday Village. I’m so sorry I didn’t know about this sooner to tell you guys… but you have until the end of today December 15, 2013 to enter. Go to coastalliving.com/giveaway to enter today! The Captiva Christmas Boat Parade was crazy fun with lots of boats lighting up the Roosevelt Channel so I didn’t want you to miss it either so we could shellebrate together. Here’s a quick vid of the awesome decorations on the Captiva Cruises‘ boat with Captiva Island Yacht Club and the Let It Snow boat. Woo Hoo! With so much fun for the holidays, I put together my hand painted Holiday Shellection in my new Art Gallery… Check it out! Oh but wait… remember…. don’t forget to watch Xtreme Xmas on the Travel Channel tonight at 7pm (12-15-13). Our whacky Captiva Golf Cart Parade is featured. Y’all need to be here next year to see all of this in person! I saw this issue! Oh my gosh, I loved the photos! On another note, I LOVE YOUR PHOTOS! I ordered 2 of your prints from your shop, they arrived yesterday and I am just thrilled. They are spectacular and the prints are top notch quality. You are so very talented and I am so very grateful that you share your love of the Islands with all of us! Pam, just saw you on the Travel Channel Xtreme Xmas episode! hahahah I just saw it too! I can’t believe I got a speaking part! haha Im probably as excited as Olivia! I wondered why they didn’t feature you in that issue! But they did (your shells at least!) Cool! Congrats! How exciting!! Pam, you and your shells are famous!!! Hi Pam – I’m so disappointed I missed the Travel Channel program! Your post for December 15 didn’t arrive at my computer until this morning (12/16) at 7:02 a.m. 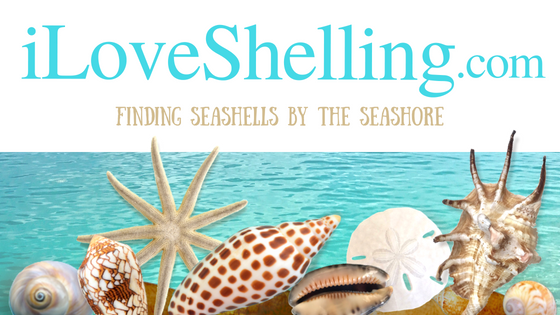 I do get Coastal Living magazine and had read the article a while ago but they didn’t give credit to you for the shells. I also wondered where that shell cleaning station is located. You are one VERY busy lady!! Your zoom’in all over the place!! Congrats on all your recent successes and adventures. You’ve got to be over the moon with excitement. I can’t wait to get down there. Its been so unusually cold here in Va. Freezing temps, snow, ice…just wintery cold weather all of December thus far. Uggg….I so want the 80 degree weather, sun, sand, veach and shells!! Pam, So fun to see you on the Travel Channel last night. Too bad your golf cart was only in the background. And, so great about being in Coastal Living. Thank you for all the videos. Enjoy your sunshine, we are expecting more snow tomorrow…..
Ahhh! I let my sister borrow my issue. Now I have to wait to get it back to see your bowl of shells. I’ll have to call her on the shellophone to tell her to hurry up and return it! Thank you so much you guys- Im still over the moon! I think that cleaning station may be a Casa Ybel? There are quite a few around the island. I just saw that our golf cart parade on Xtreme Xmas on the Travel Channel will be airing again Saturday 12-21-13 at 4pm!!! If you missed it, its really cute! Pam, do you know if the travel channel plans to replay the xtreme xmas special? I missed it :(. But i did get the coastal living magazine and loved the article and entered the contest! Yes, but it will be 50 degrees here this weekend! Can you believe we were on Sanibel almost a year ago ? ?